Our industry is facing a clear call to action. People are demanding sustainable products and want to live healthier lives, and they expect our industry to deliver. At the same time, the UN Sustainable Development Goals demand co-ordinated industry action. These demands, together with an uncertain political environment and ever-more complex supply chains, mean it’s harder than ever to know how to implement strategies and actions that will secure the long-term, sustainable growth of your business. However, thanks to The Consumer Goods Forum and our Sustainable Retail Summit , there is now a unique opportunity to learn first-hand how companies are taking positive actions and collaborating to overcome today’s biggest industry challenges. 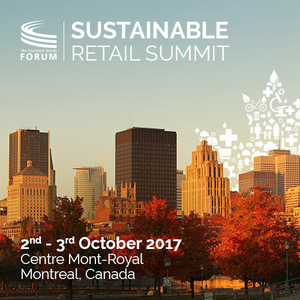 From eradicating forced labor, reducing and measuring food loss and waste to supporting healthier diets and lifestyles, the Sustainable Retail Summit provides practical sessions on how to implement change and meet these challenging demands head on.